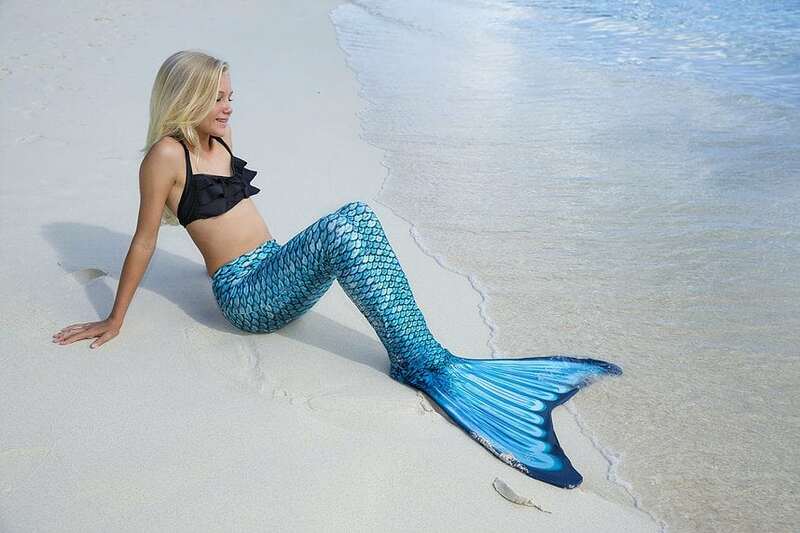 Fin Fun Mermaid Tails are the original swimmable mermaid tails with monofin that combines dress up fun with swim-ability – perfect for anyone who has dreamed of being a mermaid. Fin Fun’s Mermaidens® collection features quality fabric that hugs the body and is comfortable to wear, yet resistant to the effects of the sun and pools. The open tail bottom doesn’t trap air and gives the ability to walk and allows for easy removal. Why we like it: When we went to a pool party, numerous guests asked if these came in adult sizes! Beautifully made and easy to put on, these mermaid fins look like the real deal. Best used in shallow water to start so the mermaid-in-training can easily stand up.